In this day and age, fitness has become a pillar of our generation. I believe that fitness in moderation is very important to maintain a healthy body and does help out with stress. I was lucky enough to get to train with TapOut merchandise . Weight and resistance training is key if you are looking to get toned. When it comes to weightlifting always remember that it may take a toll on the skin of your palms. Which better way to protect your hands than with a set of weight lifting gloves. Size range between S and XL. 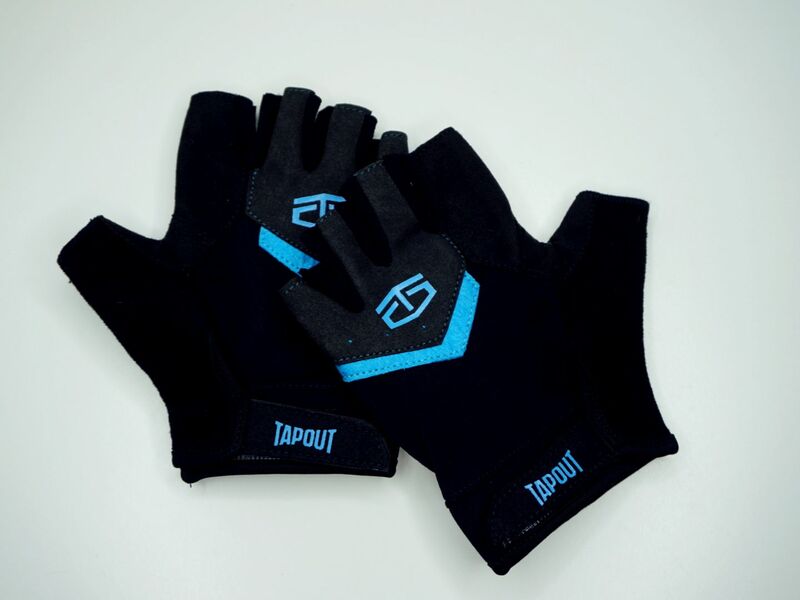 The gloves are beautifully designed with their TapOut blue logo and black material. They look and feel very well made which is surprising since they are extremely affordable. 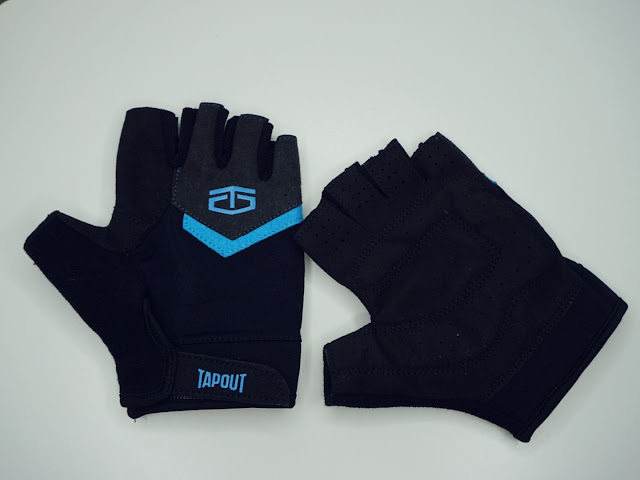 These weightlifting gloves are ultralight which makes them feel as if they are not even there. The gloves have dura leather padded reinforced palms. This ensures that your palms are effectively protected. Luckily this is synthetic leather that has a reinforced palm patch to make sure they last you a very long time. They have produced them with a low bulk design and have double stitched the padded palm for extra comfort too. One of the most important features of these gloves is that they are produced with breathable air flow fabric. This is extremely important as it will ensure that you will not have sweaty hands whilst training. The last thing anyone would want is to have sweat on their hands during weightlifting sessions. Luckily the cuffs are made with neoprene to make sure they are very comfortable. It's an all rounder product which not only is very stylish to wear but gets the job done without any drawback. Another excellent accessory they sent out was the resistance bands for Legs and glutes. Sizes include M and L.
The resistance bands are beautifully designed and come as a Mega Deal of 2 different strength sets. One has a black and red design whereas the other has their trade mark blue and black design. 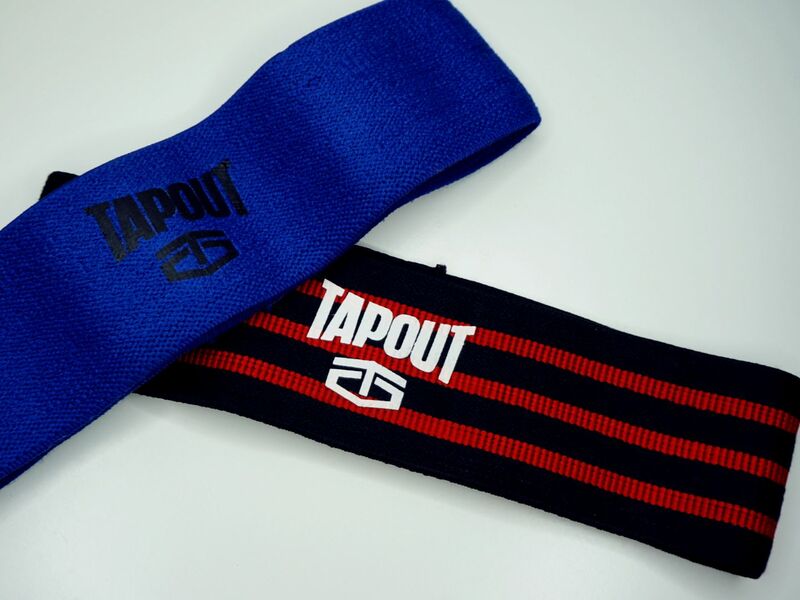 The blue band is for heavy strength training and the black/red band is for medium strength training. I found it very interesting that these bands are unisex and have been designed in a manner that will prevent knee and back pains. I used this initially prior to my training to warm up and activate my glutes. I found it to be an effective whole body warm up, rather than being limited to your glutes and hips. These can be used to build your endurance and strength, through external hip rotators and abductors. This is so important as stress is reduced from the main problem areas which tend to be lower backs and knees. The resistance bands were very easy to use and the greatest part was that they easily incorporated in my training routine. It is with no surprise to find that not only are they beautifully designed but they are also great for those glute exercises. 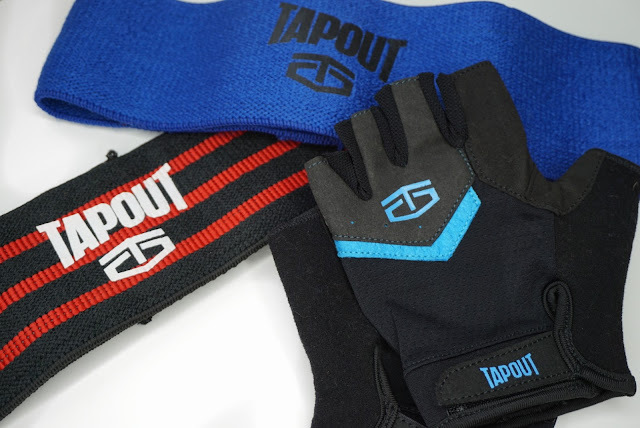 I can't thank enough TapOut for giving me a chance to get acquainted with their sports range. I highly recommend both the weightlifting gloves and the resistance bands. 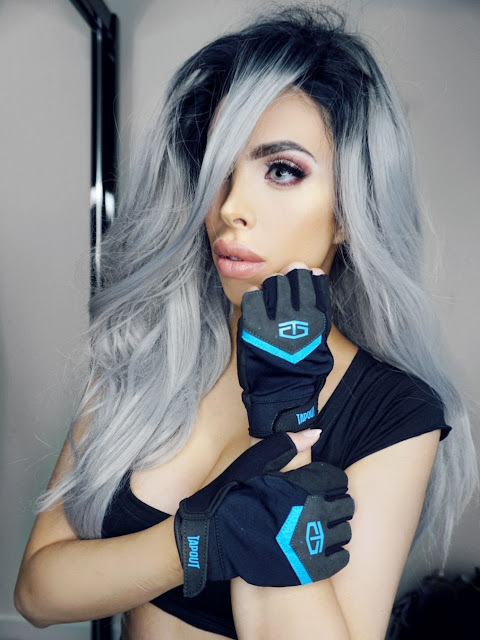 I loved how great they look as they are very much on trend and really took my training to another level. I was accessorised so well that many people in the gym were asking me where I had got them from. The difference in my training was highly noticeable and one I will adhere to thanks to these products. 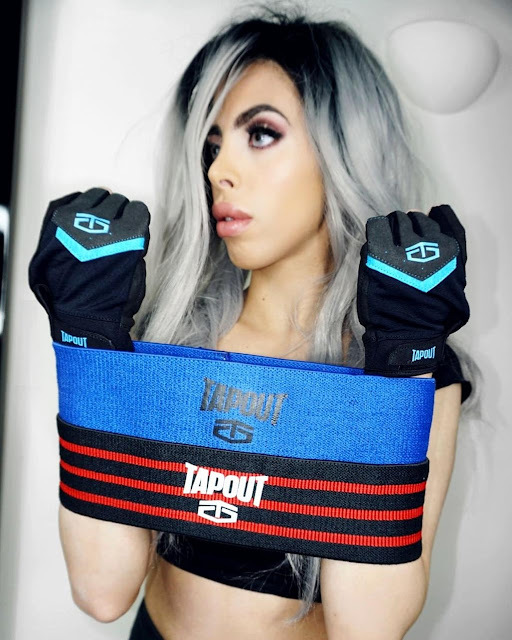 Have you ever tried any of TapOut's range? If so, how did it improve your training?